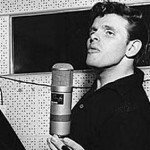 One of my favorite memories of my mom — of my entire childhood, actually — is singing Runaway by Del Shannon in the car with her and my little sister while driving to St. Paul’s Catholic elementary school. I love that song. She loved that song. She loved singing that song. Mom loved music. And I don’t just mean, “She loved music,” in the way you would say that about someone who has a huge record collection and can sing the words to thousands of songs, or someone with really groovy eclectic taste, or anything like that. I mean she had a love affair with music. She was passionate about music in a way that transcends explanation to or comprehension by anyone that wasn’t her or me or my little sister. My mom, even towards the end of her much-too-short life, loved music with a rage and angst and lust that would have been familiar to any teenaged boy in the late 80s (e.g. me) screaming, “F* you! You don’t even get Pink Floyd the way I do, man!” (She never would have vocalized it that way, of course!) And she felt that way about Mozart and church hymns and The Beatles and country music and calypso and the Star Wars theme. Runaway will always make me think of my mom. I can still distinctly remember the unbridled joy and laughter and giggling, the three of us doing our best to match the pitch of the whistle solo. She could do it, of course. My mom had pipes and she used them. I can’t sing to save my life, but she raised me to do it anyway. 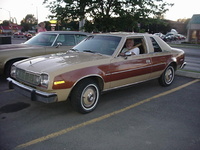 I remember my sister laughing in her seatbelt in the back seat of our cordovan AMC Concord. It’s a lovely memory.